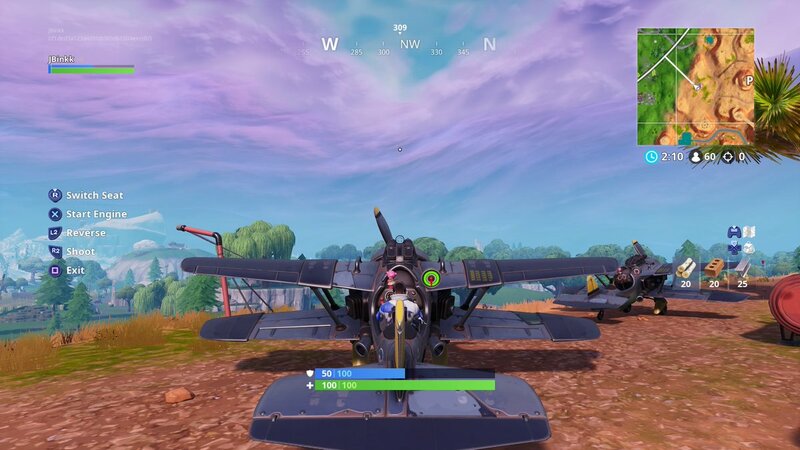 Take to the skies in Fortnite’s newest vehicle. When Fortnite: Battle Royale season seven began on Dec. 6, Epic Games introduced a brand-new vehicle to the game: The X-4 Stormwing Plane. 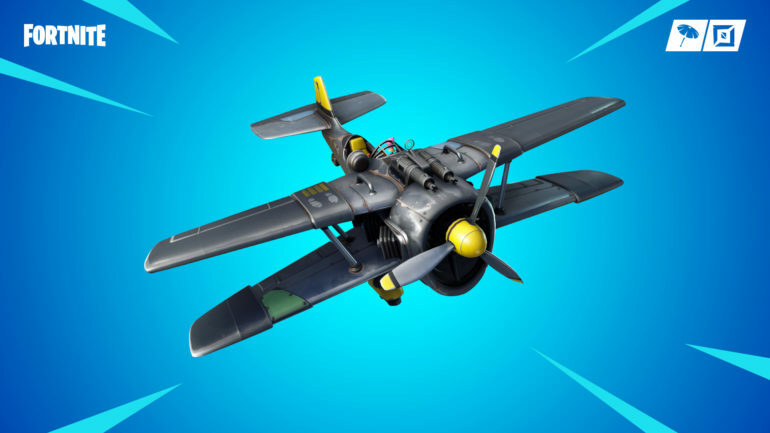 As the first aerial vehicle in Fortnite, many players weren’t sure what to expect from the X-4 Stormwing Plane. The plane has five seats: Four for passengers on the wings and a pilot. It also has a mounted machine gun that can overheat and you can use the plane to put on a magnificent aerial display. 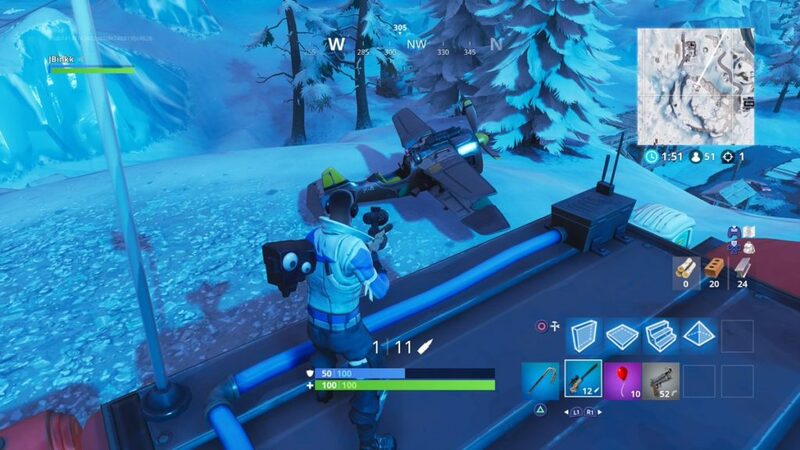 But in order to take advantage of this new vehicle, you’ll need to know where to find these planes and how to use one. On PlayStation 4, enter the plane by hitting Square. Start the plane’s engine with X. Once you’re in the air, steer with the left analog stick and you can boost yourself by hitting X again. Use R1 to roll right, L1 to roll left, L2 to airbrake, and R2 to shoot your mounted machine gun. To exit the plane, hit Square. If you want to switch seats in the plane, push the right analog stick in. It’s definitely not easy to fly one of these planes at first, but with a little practice, you can become an expert pilot in no time. 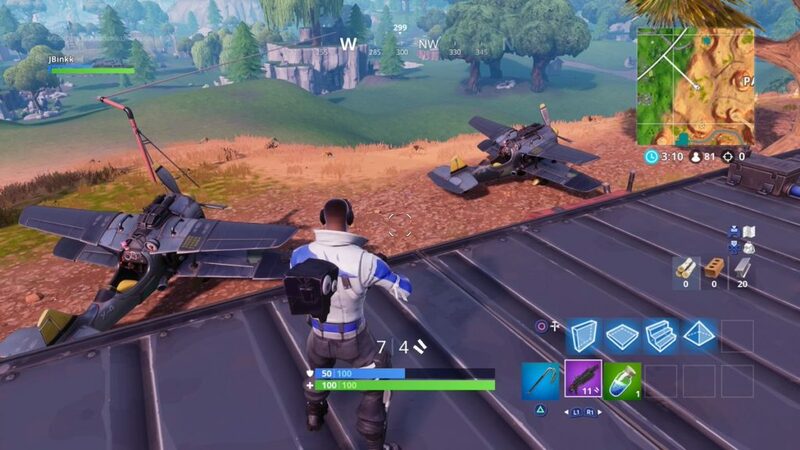 A few planes can be found on the western edge of Paradise Palms, on the border where the desert terrain starts to change into a grassy field. 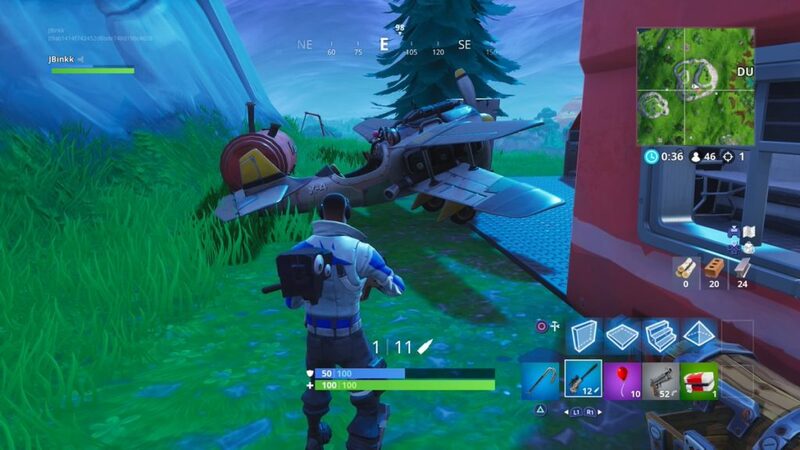 A plane can be found east of Risky Reels near one of the random houses. 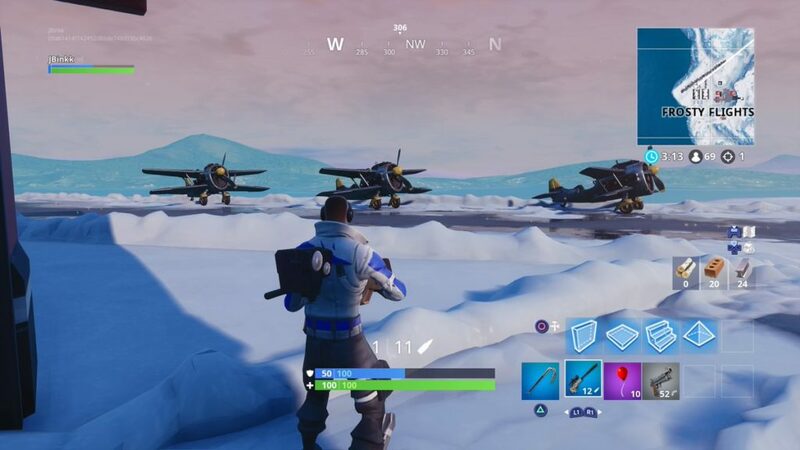 Multiple planes are spread across one of the new areas in Fortnite, Frost Flights. 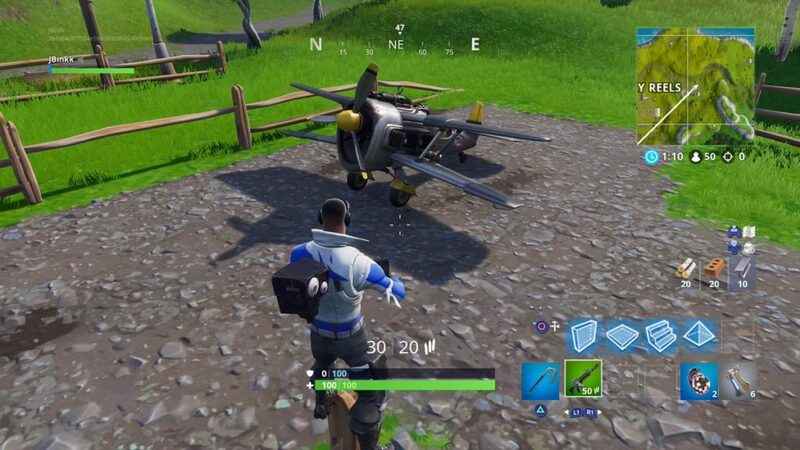 You can find another plane in an area north of Happy Hamlet. 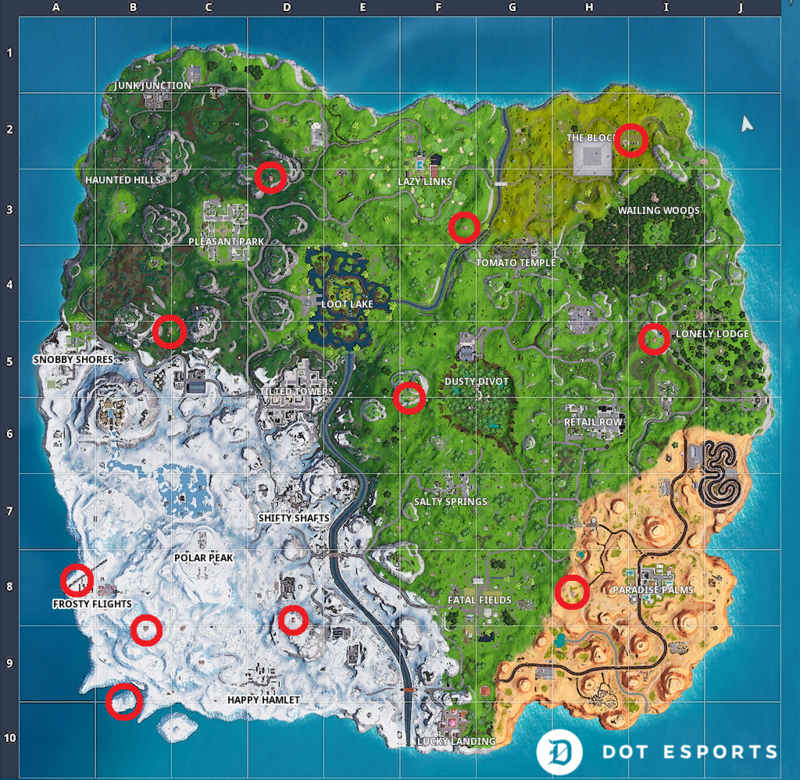 Planes are also located on the mountain west of Dusty Divot. 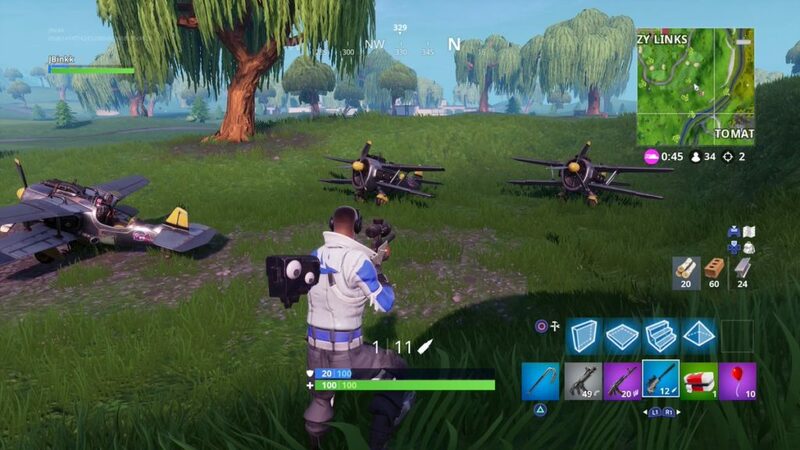 These planes can be found northeast of Pleasant Park. 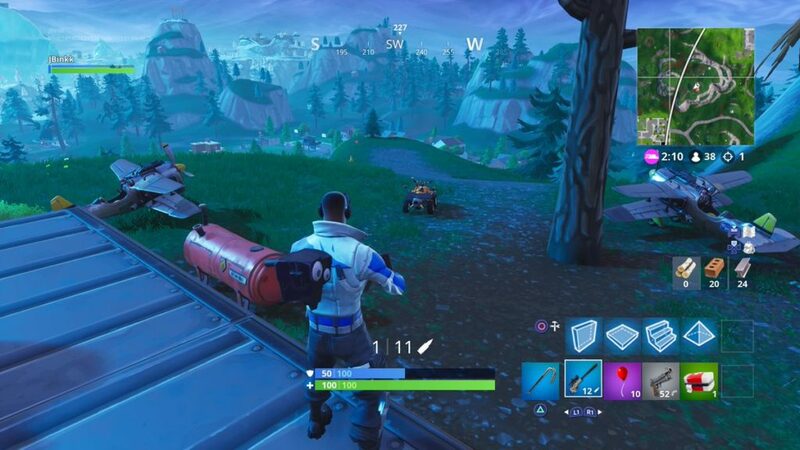 More planes are located southeast of Lazy Links and northwest of Tomato Temple.